Amazon released on Friday the first two episodes of The Romanoffs, Matthew Weiner's highly-anticipated follow-up to Mad Men. While "The Violet Hour" and "The Royal We" are not narratively linked, like every episode in the eight-part anthology series, both are set in the modern day and center on people who believe they are exceptional because they are the surviving descendants of the Russian royal family. The premise is so zany that only a name associated with one of the most critically-acclaimed television shows of all time could manage to secure the $50 million it took to make. Still, as outlandish as the show may be, there are ample opportunities for the writers to slip in miniature Russian history lessons for the audience. Here are a few of the best from the first two episodes. What does Tom Petty and the Heartbreakers have to do with the Russian royal family? If there is one thing people know about the Romanov dynasty, it's how it ended: bloodily, in 1918, when the royal family was executed by the Bolsheviks. In the aftermath of the Russian revolution, conspiracy theories arose as different imposters came forward claiming to be one of the tsar's daughters (most famously, Anastasia) or perhaps the sickly tsarevich, Alexei. The opening credits of The Romanoffs, set to Tom Petty's "Refugee," quickly recap the family's end, and likewise suggest that one of the daughters got away over the lines "you believe what you want to believe." The actual murder of the Romanov family, however, was a brutal and drawn-out affair. Living in imprisonment, Tsar Nicholas II, his wife, and their three daughters and teenage son were woken in the night by their captors under the pretense of being transported to a safer location. Having anticipated being moved, the family had earlier sewn diamonds into their clothes, but they were instead taken unsuspectingly to a cellar, where they were read their execution order and a squad opened fire. After the dust cleared, the Bolsheviks realized that all of the children had survived the initial barrage, having been protected by the jewels in their clothing; only one daughter, Maria, who had tried to escape, was shot in the leg. Ogla, Tatiana, Maria, Anastasia, and Alexei were then bayoneted and shot point-blank. The executioners hid the family's grave site, and for decades the Soviet Union spread misinformation about their deaths, helping fuel conspiracies that one of the children had made it out alive. Only decades later would the discovery of the graves and DNA evidence prove that indeed no one escaped. Oh, and those portraits that start the credits? They're of Peter the Great and Catherine the Great respectively. Why would Russian nobility have an apartment in Paris? In the first episode of The Romanoffs, Greg (Aaron Eckhart) and his fiancée Sophie (Louise Bourgoin) plot to inherent the gorgeous apartment owned by Greg's aunt, Anushka (Marthe Keller). But Anushka has no plans of dying before seeing her home handed over to someone who will continue the royal line. Instead, Anushka slowly but surely takes to her caregiver, Hajar (Inès Melab), giving her a tour of the rooms: "Grand Duke Alexei kept a whore here," she says casually. "An actress. He adored actresses." This is not baseless historical gossip. Many members of the Russian royal family had love nests in Paris over the centuries — and just as many dukes and tsars found themselves enchanted by young actresses, including Grand Duke Alexei. The fourth son of Alexander II (who had his own secret rendezvous in Paris) was so head-over-heels for the actress and ballerina Eliza Baletta that he reportedly spent millions of rubles on her, making them both the targets of much criticism in Russia. The grand duke eventually retired, in 1908, to Paris, where he died, making Anushka's story not so unreasonable. More dubious is her claim that Paul I's illegitimate son, "Roman," first bought the apartment — there is no historic record of such son. How would Anushka have a Fabergé egg? Hajar takes an instant liking to Anushka's Fabergé egg on display in the dining room. Fabergé eggs are perhaps the best known symbol of Russia outside of onion domes and matryoshka dolls. The first was commissioned by Tsar Alexander III for his wife, Empress Maria Feodorovna, launching an annual Easter tradition that resulted in some 50 eggs being made for the royal family between 1885 and 1917. Each egg contains a surprise inside; the Imperial Coronation Egg holds a replica of Catherine the Great's coach, as Hajar discovers. Because there are so few eggs — and several have been lost over the years — they are priceless treasures. Anushka claims her parents smuggled the egg out of Russia following the fall of the monarchy. In reality, it was confiscated, with many other royal treasures, by the revolutionary government. Many eggs are now owned by Russian oil tycoon Viktor Vekselberg, including the real Coronation Egg, which is valued at around $20 million. Looking at Anushka's shelf, it appears she is in possession of a second Fabergé egg as well, the much more modest "Hen Egg." Who is this "great-aunt Irina"? Anushka recalls that she had a "great-aunt Irina" who worked in fashion when showing Hajar her wardrobe. Irina is a Romanov family deep cut, referring to Princess Irina Alexandrovna, the niece of Tsar Nicholas II. Irina is one of the more intriguing members of the royal family. When she was 19, she married Felix Yusupov, an uber-wealthy bisexual prince who would wear his mother's dresses out in public, but by all accounts they had a happy marriage. 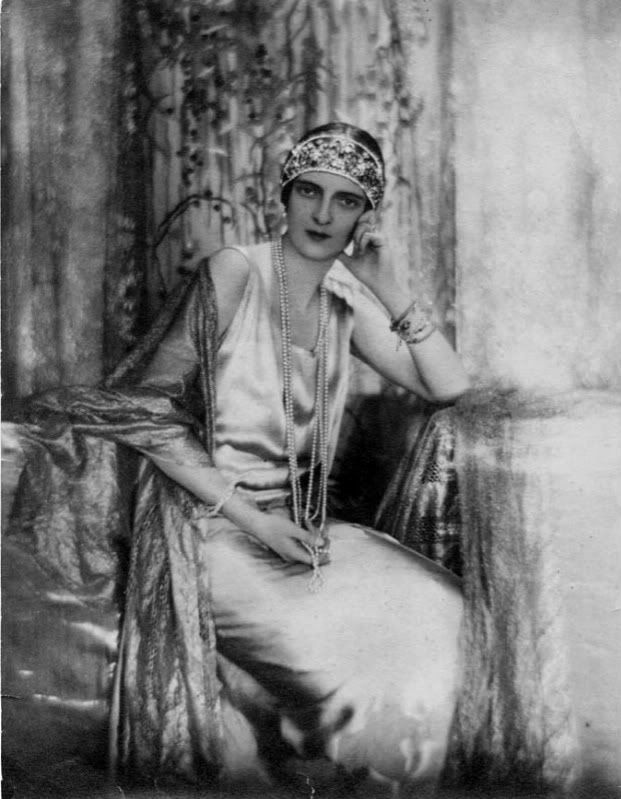 After assisting in the murder of Rasputin, Yusupov traveled with Irina to Paris, where they opened the fashion house Irfé together, and where Irina did some modeling. After the death of her husband in 1967, Irina lived another three years in Paris where she "always smoked French fags with a long cigarette holder, always smelt lovely of Chanel No. 5" and was "never without her beautiful pearls in her ears and round the neck," as remembered by Princess Olga Romanoff, her niece, and recounted in Simon Sebag Montefiore's terrific history of the family. Why does Shelly spelled her last name "Romanoff"? In the second episode of The Romanoffs, "The Royal We," Shelly (Kerry Bishé) gets away from her husband for a weekend by taking a Romanov family reunion cruise. When she is checking in, she is asked if she spells her name with a V, or with double F's. Although the Russian family name is now most commonly spelled "Romanov," that wasn't always the case — Shelly and Michael (Corey Stoll) spell their name with the older transliteration of "Рома́новы," using double F's. That is also the spelling of the series title, because, according to the press notes, it helps loan a "phony flavor" to a show about modern-day pretenders. The slight change in the English pronunciation, to the last syllable "off," also plays into the uncanniness of the series, in which there's always something slightly and intentionally unnatural about the storytelling and acting. "Romanoff" is also the preferred family name of Princess Olga, the aforementioned niece of Princess Irina, and continues to be used by several other living members of the royal line. Is there actually a Romanov Family Society? The Romanov Family Society, which hosts the cruise that Shelly attends, might not be a real thing, but the Romanov Family Association is. The lineage group organizes the living descendants of Emperor Nicholas I, and is headed by Princess Olga Andreevna, the daughter of a nephew of Nicholas II (and not to be confused with Princess Olga Romanoff). Separately, Maria Vladimirovna calls herself a grand duchess and the head of Russia's Imperial House as the granddaughter of Grand Duke Kirill Vladimirovich, a first cousin of Nicholas II. As far as I am aware, neither organization goes on cruises. What's up with that weird play on the cruise ship? On the cruise ship, Shelly and the other Romanovs are entertained by "a little person version of the Royal Family" that even includes an actor playing Rasputin (Kyle Pacek). For many years, the Romanovs were, in fact, entertained by "court dwarfs," including Peter the Great, who put on a lavish celebration for the wedding of his niece that included marrying off his favorite dwarf in a parallel bacchanal. The cruel Empress Anna Ivanovna would also oversee the appalling spectacle of "dwarf-tossing" in her court. As Montefiore writes, dwarfs in Russia "were regarded as lucky mascots, but they were also expressions of the exceptionalism of royalty," and it is not so far-fetched to imagine members of a Romanov cruise today trying to rekindle that feeling of being remarkable, even at the expense of others.